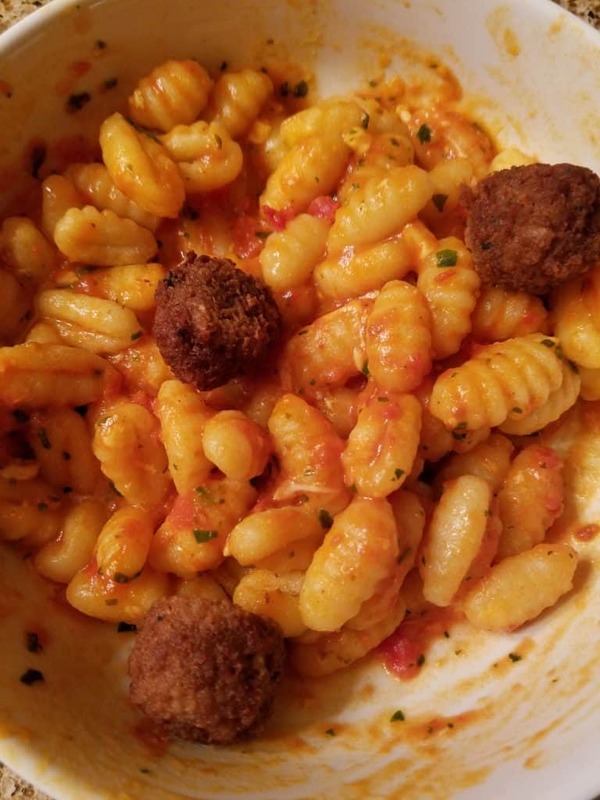 These meatballs probably won’t fool any carnivores, visually maybe but not in taste. The strongest taste in them was the taste of bread crumbs. The smell is similar to a sausage. 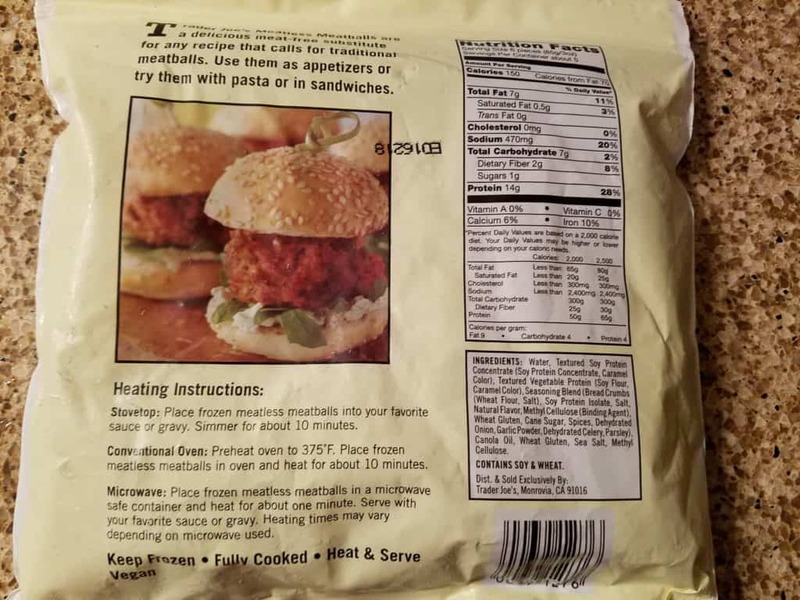 Texture was correct for a meatless product. Would I buy these again? Yes, for myself as a way to cut back on red meat. 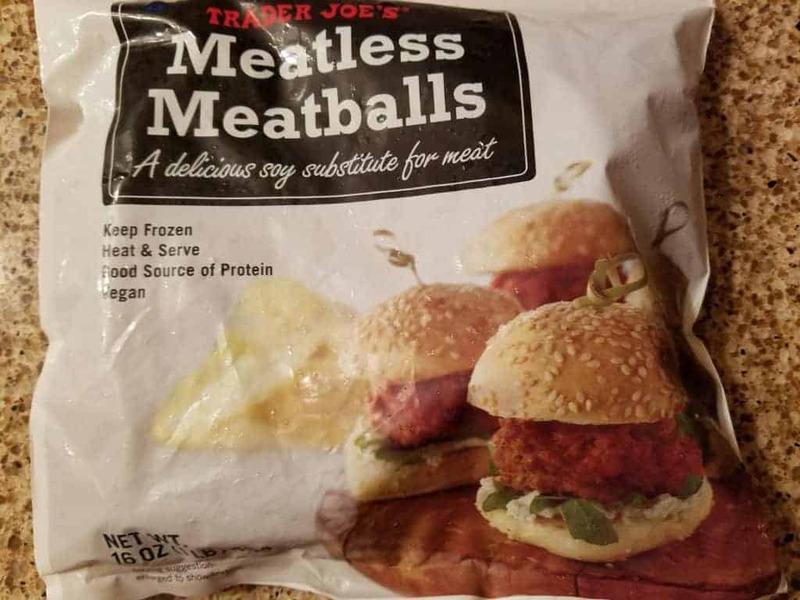 For $3.99 you would be hard pressed to buy a pound of chopped meat for that, let alone everything else you put in meatballs. 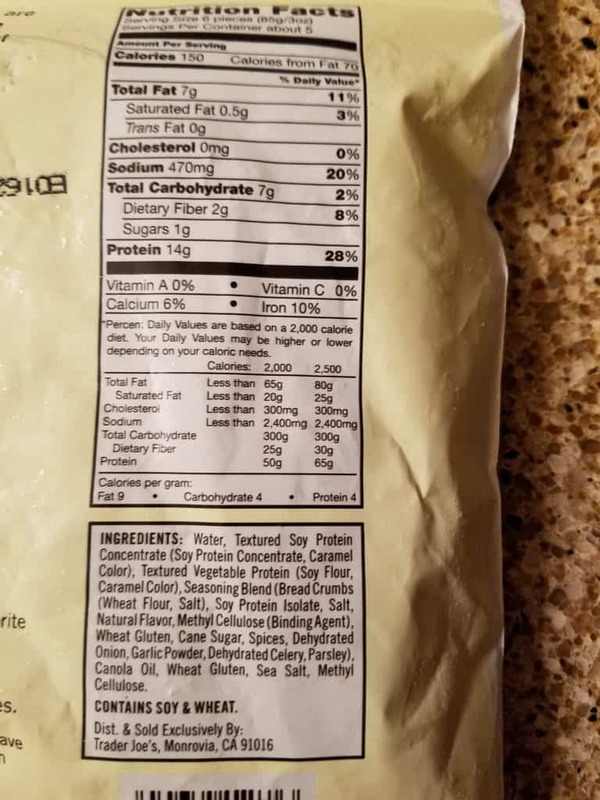 The calorie count was respectable, the taste was good but not fooling anyone. I did not feel like I was eating bunny food. Should you try it? I think so. 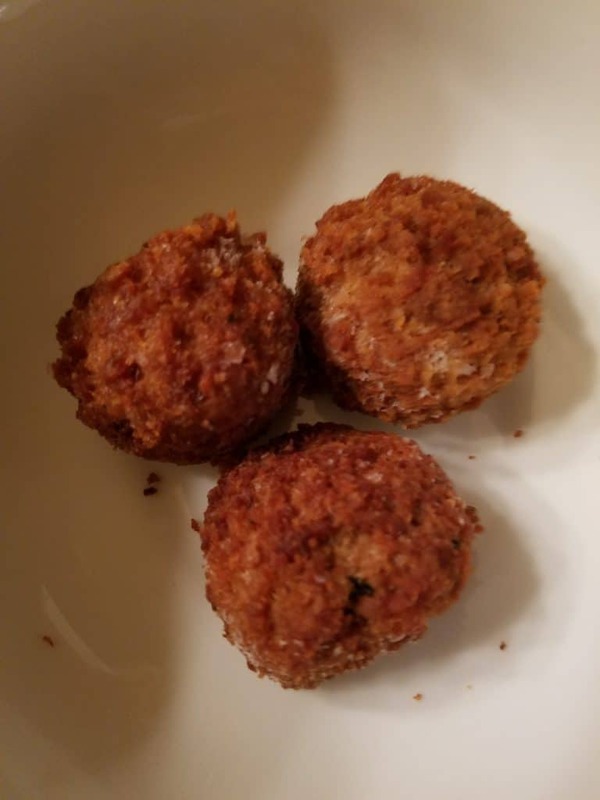 I’m vegetarian and have tried lots of faux meatballs over the years, these are definitely some of the best. They’re better when rewamed in a tomato sauce than plain. I add them chopped as a layer in lasagna, or use them in soups like a minestrone in the winter. Yep! 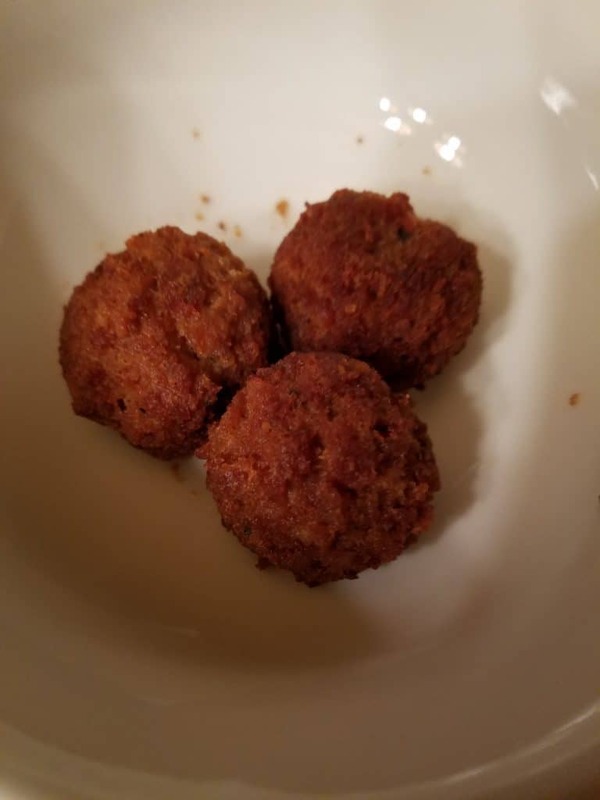 These are some good meatless balls. They’re very tender in my experience, and I like that for sandwiches. I prefer chewier Quorn meatballs for spaghetti- though, I’m not entirely sure those are vegan. Hey Cat! Thanks so much for sharing. I’ve never seen the Quorn meatballs, but I guess I’ll have to keep an eye out the next time I shop somewhere else. Thanks so much for taking the time out of your day to share! Hey Linda! Unfortunately, I only review these items (there is no affiliation on my part). I don’t believe you can order this online. Sorry I can’t help you more on this.